On Thursday April 5th, 2018, Whisky Wisemen YYC collaborated with local venue The Wednesday Room to present an exclusive evening with the esteemed whisky expert Matt Jones AKA "The Whisky Chef". 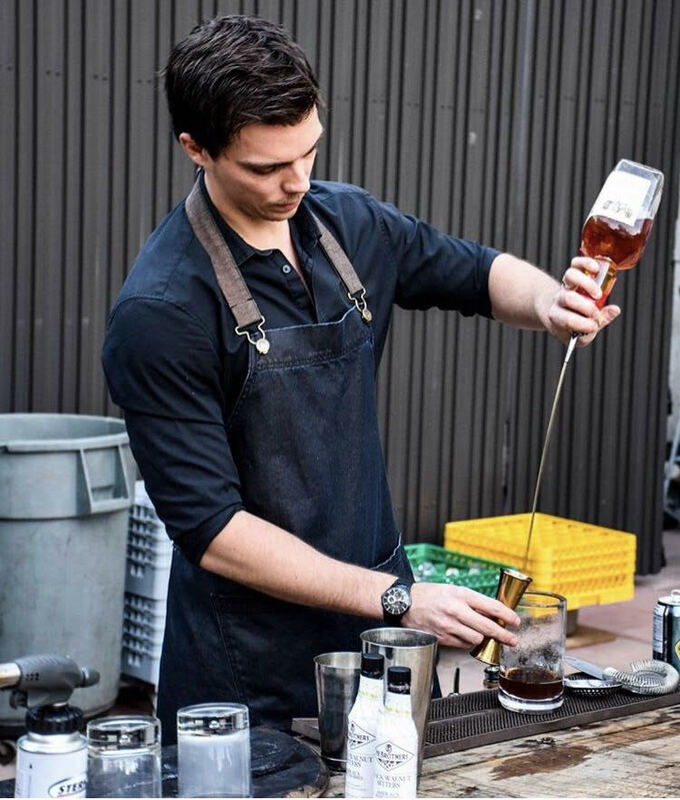 Matt is the World Whisky Ambassador for Beam Suntory; in this role he represents a wide range of whiskys including Single Malt Scotch (Bowmore, Laphroaig, Auchentoshan, Glen Garioch, Ardmore) Irish (Kilbeggan, Connemara, Tyrconnell) and Japanese (Hibiki, Toki). Matt has had an extensive career in the hospitality industry of 20+ years and has been recognized with numerous industry awards: In 2016, he appeared on the cover of Whisky Magazine issue 138 representing the Canadian issue. In 2017, Matt was again honoured to be named Icons of Whisky's 'Global American Whiskey Ambassador of the Year'. Guests were treated to their choice of three-course meal from a specially prepared menu courtesy of The Wednesday Room. Matt Jones accompanied the dinner service with a curated four-flight tasting covering a variety of Laphroig Single Malt peated whiskys. The event raised $620 for the Brown Bagging for Calgary's Kids Society (BB4CK) to help support their vision of a community that ensures all kids are fed. BB4CK works in partnership with Calgary schools to make and deliver free healthy lunches for students who would otherwise go hungry. At a cost to make of about $1 per lunch, they provide lunches for approximately 4,200 kids each school day. They operate their own kitchen staffed by a small team and thousands of volunteers annually. Whisky Wisemen YYC would like to express our sincere gratitude to both Matt Jones and The Wednesday Room for their contributions in making the event a huge sucess. YYZ: TORONTO Seasons Greetings! Thanks Corby! Whisky Wisemen YYZ Seasons Greetings! Thanks Corby! We are so excited to continue and grow the success that we have had in 2017 into the new year! We were able to cap off our 2017 year with some private whisky tastings as well as a special holiday cocktail mixer, all thanks to our collaborator and sponsor, Corby Spirit & Wine Ltd.
Our first event with Corby took our participants on a journey through the history of Canadian Whisky, with the very knowledgeable ambassador, Spencer Gooderham. Spencer was able to relate on all levels, from novice to expert whisky connoisseurs. Continuing the success that we saw in the November event, we thought that there would be no better way to bring in the holidays than another whisky tasting and holiday cocktail mixing event! Participants were able to make their own cocktails, which were delictable and appealed to even the non-whisky drinkers! This journey was led by Global Whisky Ambassador, Dave Mitton, showing everyone the tricks of the trade! We can’t wait to continue our relationship with Corby Spirit & Wine Ltd. and look forward to many more amazing events! YYZ - Be sure to join us at our next few events, where we are looking to ring in the new year with another special event! From the Whisky Wisemen YYZ, we hope everyone has a very special holiday and a happy new year! 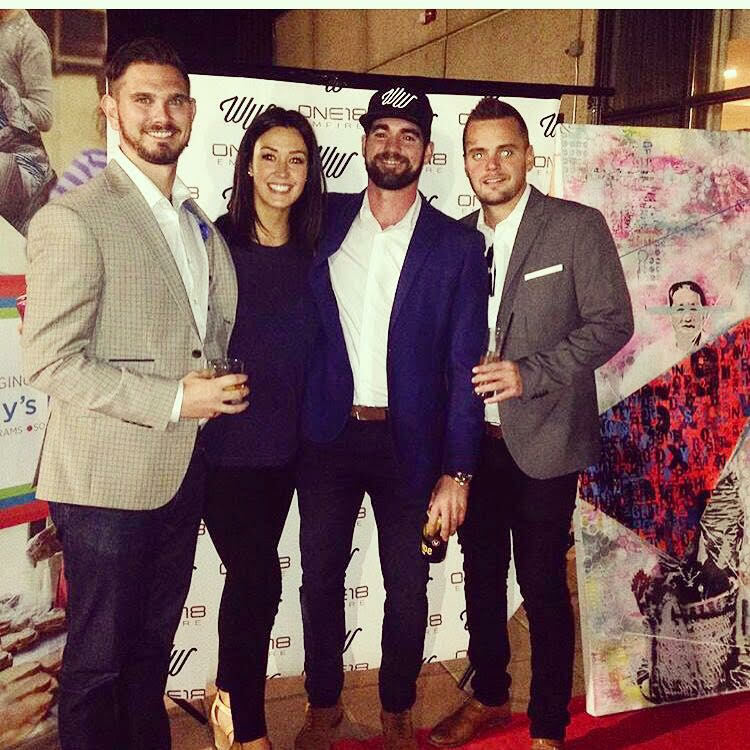 On July 13th our Whisky Wisemen YYC Chapter partnered with several sponsors to host a hugely successful private Stampede event in support of the local charity Brown Bagging for Calgary's Kids Society (BB4CK). The event was hosted on the extensive rooftop patio of ONE18 Empire Restaurant & Whisky Bar in downtown Calgary and was attended by approximately 600 individuals representing clients, friends and family of sponsors including Calgary Jewellery, Mercedes Benz, Oris Watches, Glenmorangie, and National Bank of Canada. A range of amenities were available to guests including a cigar lounge, dedicated scotch bar, comfortable seating areas, food and drink stations and an indoor entertainment area with pool and foosball tables. 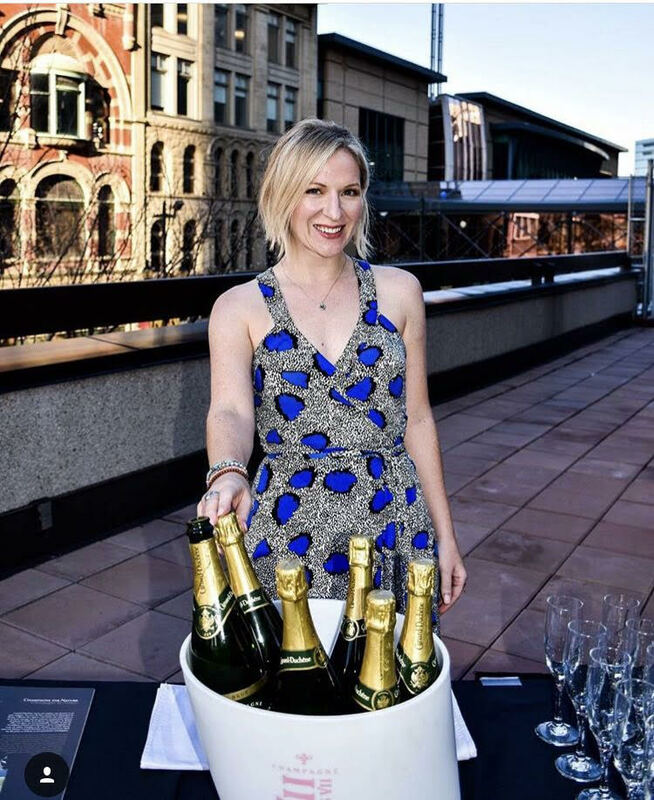 The event was capped off with a live auction featuring items including an Oris Watch valued at $3,500, a professionally commissioned artwork, and a 25-year old Glenmorangie bottle with Baccarat glassware. Charitable proceeds generated by the event greatly exceeded expectations; auction proceeds totaled $14,676 with an additional $6,000 in private donations resulting in an overall amount raised of $20,676 for BB4CK. All parties were beyond satisfied with this result and Whisky Wisemen YYC looks forward to hopefully making this into an annual event. 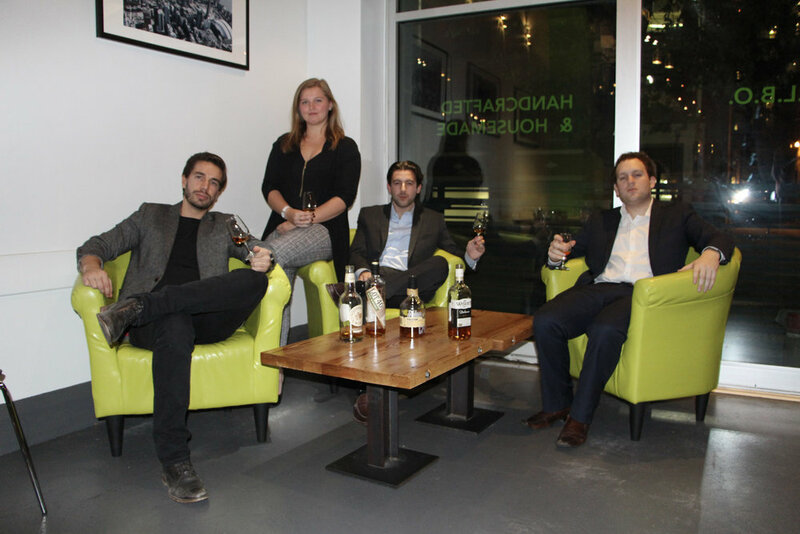 YYZ: Whisky Wisemen Launch a huge success! What a truly remarkable kick-off event! There were so many individuals that helped bring this together, but it would not have been possible without our sponsors, INDOCHINO, Original Grain and Glenmorangie! INDOCHINO andOriginal Grain provided amazing prizes that three lucky individuals got to go home with and Glenmorangie provided the tasty whisky that people bonded over! Lastly, we would like to thank SIPBAR for creating and providing the libations for the evening! Our charity partners, Camp Oochigeas, made an appearance, in which the society had a chance to speak with two representatives (Diana McGaughey and Teya Vitko) and get to know what the charity is all about and what it provides to its beneficiaries. We were surprised with two different whiskies, one of which just hit the market and is sold out everywhere (Penderyn Distillery), the other one hasn’t even been released in stores yet (Kavi)! Luckily, we were able to capture some amazing photos during the launch event, so feel free to check them out! Whisky Wisemen Society is a not-for-profit organization started in Vancouver and founded on a love for whisky and the desire to share that with a like-minded community once a month. We didn't just want to sit around drinking without purpose but rather we wanted to make sure we were also doing something to improve ourselves and for the betterment of our community. 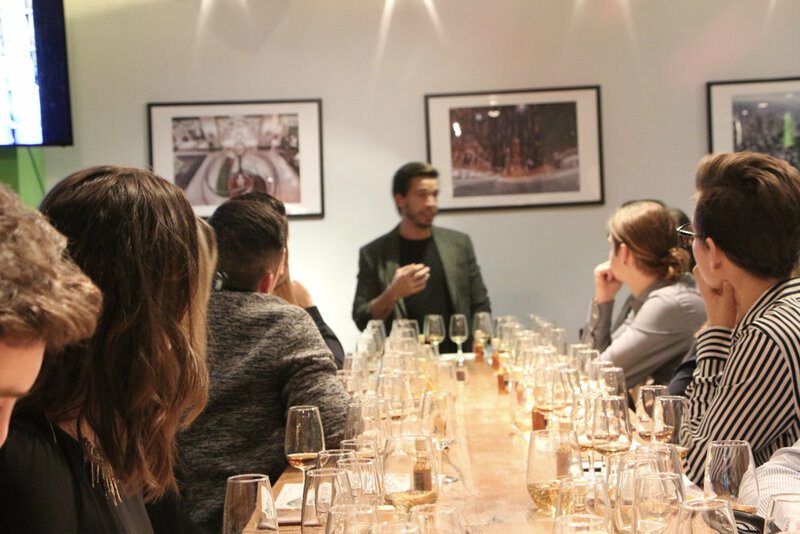 We, as the Whisky Wisemen YYZ chapter, aim to host events at a local bar and create atmosphere that is conducive to growing and expanding your own personal network over a love of whisky. No matter the time or place, everyone in Toronto can put their minds at ease knowing that there is always another Whisky Wisemen YYZ event! We are so excited about the events to follow and are looking forward to seeing new and old faces! On Thursday, September 15th, our YYC Chapter hosted their 15th monthly Third Thursday event and took advantage of some late-summer warmth with a huge celebration on one of Calgary’s best situated rooftop patios! The event proved to be a huge success with representation from all areas of the community thanks to the generous efforts of the Calgary team and their partner venue, ONE18 EMPIRE. 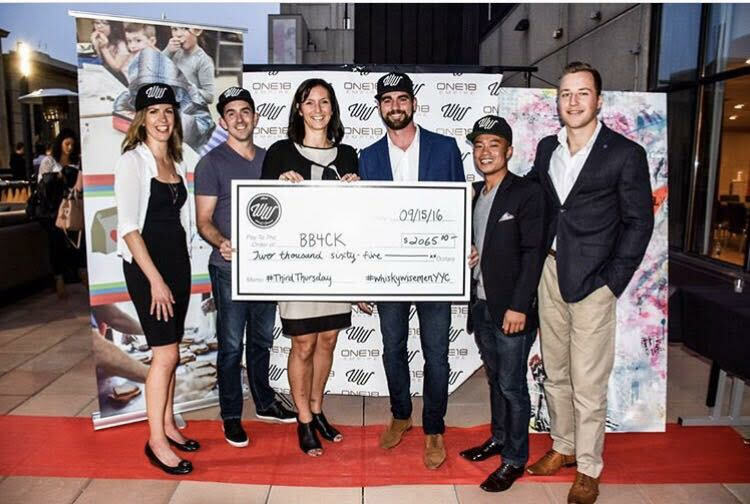 Since inception, the YYC Chapter has been proudly supporting the Brown Bagging for Calgary’s Kids Society (BB4CK) who work in partnership with the Calgary public school board to provide free lunches to children who might otherwise go hungry. This charity feeds upwards of 3,200 kids per day at an approximate cost of $1 per lunch and we’re told these lunches are highly prized items when the lunch bell rings (if you’re familiar with kids’ eating habits, you’ll know this is no small feat)! This particular event was highlighted by the presentation of a cheque to the Executive Director of BB4CK, Tanya Koshowski, for all proceeds raised at our past events totaling $2,065.00. Tanya was incredibly gracious in acceptance and highly enthusiastic about the contributions Whisky Wisemen has helped make to the community. Furthermore, sales proceeds and donations throughout the evening raised an additional $780.00 for this very worthy charity! The YYC Chapter has also been featuring exhibitions from different local artists each month, this time teaming up with Zach Lowe, a visual and street artist, whose work employs "thought provoking images, bold colours, and in most cases, stencilled words and repeated shapes." Two local artisans were also featured, Cinder & Sage and Molls and Dolls, who had on display handcrafted men’s and women’s accessories. Musical accompaniment was provided by DJ Flutes who had attendees dancing until the event was eventually (and reluctantly) shutdown close to midnight! Of course, it wouldn’t have been a proper Third Thursday event without paying homage to a fantastic whisky! Given the magnitude of this event, the featured offerings came from TWO distilleries, Bruichladdich and Aberfeldy, who each presented a variety of samplings. And as if that weren’t enough, attendees were also treated to a flute of Champagne Canard-Duchêne International. We’ve included some pictures and a video of the event below for your enjoyment. Next time you find yourself in Calgary be sure to stop by the YYC Chapter’s Third Thursday event at ONE18 EMPIRE! On the evening on May 13th, earlier this year, you may have been walking on Robson Street in downtown Vancouver in front of the Vancouver Art Gallery and if you were, you would have seen a one-of-a-kind event happening. The inaugural Little Black Dress Gala put on by the Help Change My City Alliance (HCMCA) was kicking off in a big way. We were invited and so were a thousand other change-makers, all present to raise funds and awareness of impoverished youth and marginalize woman in need. The money raised at the event went towards funding provided by the HCMCA to youth and woman in need providing them the possibility of a higher education - something they could only dream of before – making a real difference in their lives. We were there doing what we do best; talking about whisky and pouring Glenmorangie 10 year old in the Whisky Room to raise even more money for the cause. This even had it all - live music, performances of various disciplines and an enormous fashion show. To cap off the night, there was a huge celebration upstairs in the rooftop pavilion! At the end of the evening, we were able to catch up with Alpha, the organizer of the entire event. We’ve never met such a gracious, friendly, humble and thankful person. We were so glad to be a part of the event and contribute what we could, for something that shared a like passion of ours – giving back to the community through social philanthropy. 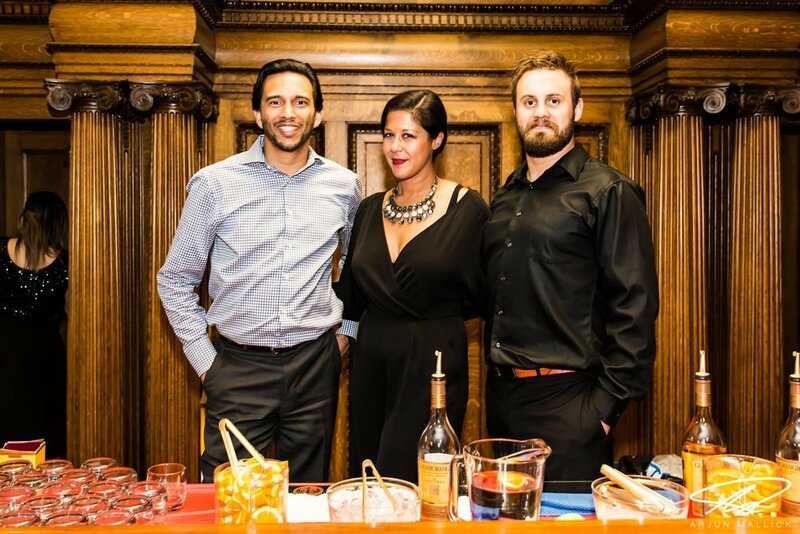 Here are a few pics of us behind the bar, keeping the attendees whisky thirst quenched! Check out all of the pictures from the event here! To further join our movements together, we later invited the charity founder Alpha Kirabira and President Christine Michelle to our monthly Third Thursday event in September. What did all of this add up to? In the end, the Whisky Wisemen Society presented Alpha and Christine with a check for $2,500 – all of the efforts cumulated into a final donation amount to the Help Change My City Alliance charity. We're proud to have had a chance to make this city great and the opportunity to #dogood and #bebetter. Special thanks to our official whisky partner, Glenmorangie, for supplying the goods and affording us the opportunity to help raise funds for such a great event. Be sure to check out the next Little Black Dress Gala, happening this fall on Friday November 25th at the Fairmont Hotel Vancouver. Tickets are only $30 so get yours today! Our 2016 Charity Partner in Vancouver is the Zajac Ranch so let’s ride! We have a unique opportunity as a community to both #dogood and #bebetter this month. A charity campaign is currently running whereby we can track our biking/jogging/(even walking), earn points, and then donate them to our charity partner Zajac Ranch for Children to help them earn a solid portion of the $25,000 that has been put up for grabs by Pacific Blue Cross. Here’s all we have to do. 3) Donate your biko coins to Zajac Ranch through the app before October 16th. All Whisky Wisemen can contribute from every corner of the globe. We’ll report out at the end of the month on how we did for the kids. Send us an email with how many biko’s you donated personally and we can raise a glass to you at our next Third Thursday. Let’s show up for Zajac and clock some km's! This past Friday night brought a lively and fun filled crowd to the Waterfall Building, just a block down from Granville Island on West 2nd Ave. in Vancouver for the Pacific Club's Summer Party event. DJ Eric Carver was throwing down classic hip-hop and rap, making for a nostalgic feel at the event. A photo booth was active most of the night as well for all of the attendees. The crowd ranged from established property developers, software developers, marketing professionals, engineers and entrepreneurs from all industries. The Pacific Club asked us to attended and pour our favorite whisky for all of the guests on a by donation basis with all of the money raised going to a well deserving charity partner in Zajac Ranch. One fine philanthropist figured a glass wasn't enough and took an entire bottle off our hands for $150 !! He agreed far too quickly on that price LOL Next time we'll ask for more! Over the night we were able to raise more than $750 !! BIG thank you to the Pacific Club for putting on such a great summer party and inviting us to join them to raise funds for our charity sponsor. It was great to see many of our Club Wise members in attendance, especially the fellas behind Sons of Vancouver Distillery, who were also onsite and selling their spectacular spirits to everyone. The whiskey sours we saw circling the party in patrons hands were making everyone's mouth water! We hope to see everyone and then some at the next Pacific Club event which is coming soon! Keep your eye on our Facebook page for when those are happening. In preparation for the Father’s Day festivities this month, UK-based clothing brand, French Connection (FCUK), partnered with Whisky Wisemen NYC for an unforgettable -- and charitable -- Pre-Father’s Day sale event “Taste and Shop for a Cause” on Saturday, June 11 from 2 to 6pm EST at FCUK’s flagship shop in NYC’s chic SoHo district. As a result of FCUK and WWNYC’s collaboration, FCUK donated 10% of all sales during the event to WWNYC’s charity-partner, Transfernation, on top of offering 30% off the entire shop! We’re proud to announce that together, FCUK and WWNYC raised almost $700 to Transfernation, who redistributes high-volume leftover foods to hungry New Yorkers by leveraging desktop and mobile applications to easily track and allocate food. Shoppers that day gave back to the NYC community through their sharp fashion sense, indeed. Customers perused FCUK’s sleek and smart summer collection while sipping on a range of complimentary whiskies from classics to world whiskies. If shopping wasn’t already a pick-me-up for one, than the whiskies certainly made it more worthwhile and hopefully encouraged some good purchasing decisions! We at Whisky Wisemen NYC want to thank FCUK for its generousity in including us in its Pre-Father’s Day sale event and for supporting our Chapter and charity-partner. It was a pleasure educating shoppers about Whisky Wisemen’s mission and organization, and how contributing to social causes is not such a difficult thing to do. We want to encourage people to be more socially responsible and understand the importance of being better everyday, and we do so by not only producing informative and fun whisky events, but also establishing unique collaborative efforts with lifestyle brands, like FCUK, that share the same values and goals for improving the community and making people feel good about doing good. We look forward to what the next special opportunity will be, and we’ll be keeping you posted! Be sure to follow FCUK, too! And need to add to your wardrobe collection? Check out FCUK’s site usa.frenchconnection.com.